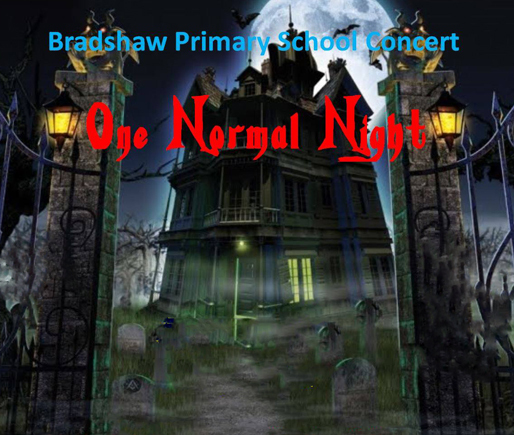 Bradshaw Primary School held a whole of school performance themed ‘One Normal Night’ in September. Costumed as zombies, witches, skeletons and pumpkins, up to 400 students and some staff participated in the eerie show, which included highlights from Bradshaw’s very own Addams Family and the finale performance of Michael Jackson’s thriller. The production featured acts created by the students as a culmination of dance and drama classes conducted throughout the term, and intensively during the past month. The performing arts provide rich opportunities for students to demonstrate and develop the Bradshaw ‘Learner Qualities’ of challenging themselves, taking responsibility and learning together. The concert was a great community event, attended by over 1000 people.